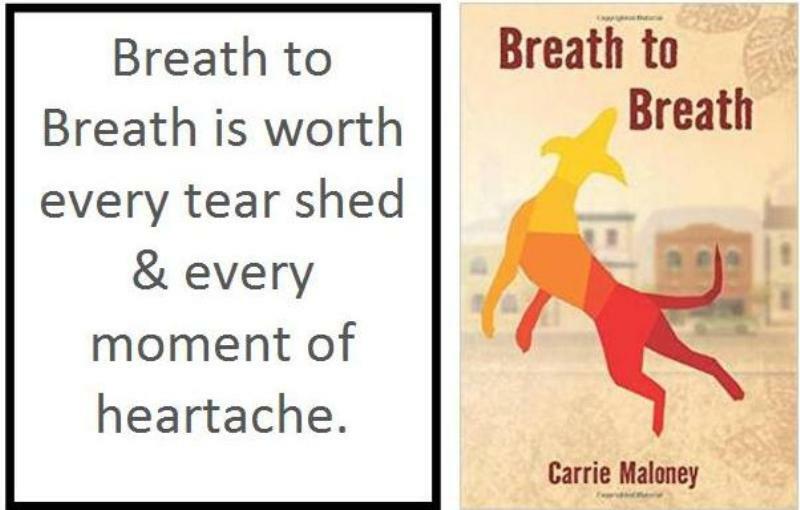 Breath to Breath, a novel by Carrie Maloney, is not for the faint of heart, but it’s worth every tear shed and every moment of heartache. Breath to Breath tells the story of veterinarian Anna Dunlap, who finds herself in the impossible situation of working side by side at her veterinary hospital with an animal abuser. Now, keep in mind I read the book entirely on planes — when I was not only away from my sweethearts, including our new border collie puppy, Clover Lee Hawn, but also ridiculously sick. Imagine me, totally overcome with some awful respiratory virus, working far from home, having to be smart and charming all day, then flying home late. I mean LATE. Many times I’d be up 20-22 hours straight by the time I fell into bed on the mountain. You could say I was compromised as I read. So, my only real warning is that if you’re currently grieving and at all tired or not feeling well, the high emotion in several sections of the book will slay you. I spent parts of several flights (3 trips in 5 weeks, which is a LOT for me) pretty doggone weepy … including when the novel ended (somewhat suddenly). I wanted the story to continue, which I think is the sign of a good book. Breath to Breath is also quite funny and populated with a whole community of characters. Well-wrought, believable, and heartfelt, these people who rally around Anna are lovely. I won’t ruin anything by telling you what the animal abuser did or how Anna decided to handle the situation. It’s creative (some would say wacky). I love it so much, though, that I’m toying with doing something similar here on the blog, if I can get others to play along. So, if you’re looking for something real and genuine to read, take a look at Breath to Breath. I think you’ll like it. I came to reading this because I just signed up for a monthly donation for the ASPCA. Is “Breath to Breath” a true story? Would love to read it, I’d no knowledge of it. This past October, after many months of doing everything I possibly could, I had to let my beloved Yellow Lab, Zoey, go to be God’s angel. My grief is doubled because my dad passed away last March and Zoey was his best buddy. I became the best home and care for her. I go for counseling because I am also suffering from other heartbreaks. Am crying everyday, mostly for the loss of my dog. When my dad passed, there were closure issues, but a dog or a pet I can always connect with and have total love, no questions to be answered. Would reading this book be therapeutic? Thanks for any support. So very sorry to hear about all your losses, Sher. Breath to Breath is fiction, not a true story. No doubt an allopathic vet. I always enjoy getting a good book recommendation. But I”m not sure I could handle the tears. Perhaps after the holidays. I can totally relate to the idea of a book that’s worth the sorrow. That’s how I’d describe Toni Morrison’s Beloved.